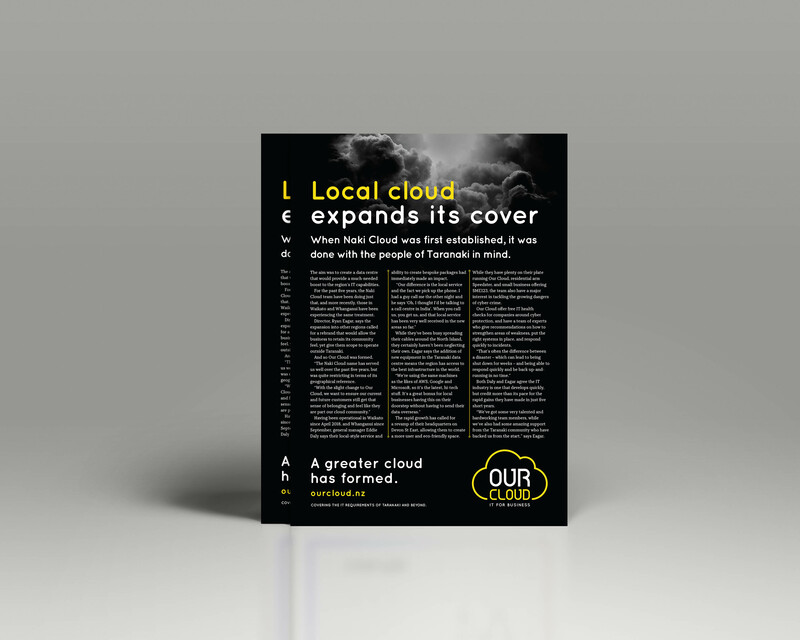 Naki Cloud were the developers of Taranaki’s first commercially available data centre. Having been the region’s local provider for all things IT for five years, they then expanded their services into other regions across New Zealand. Due to the expansion, a rebrand was necessary. The company wanted a name and logo that was similar to the original branding and retained its community feel, yet gave them scope to expand beyond the Taranaki boundary. 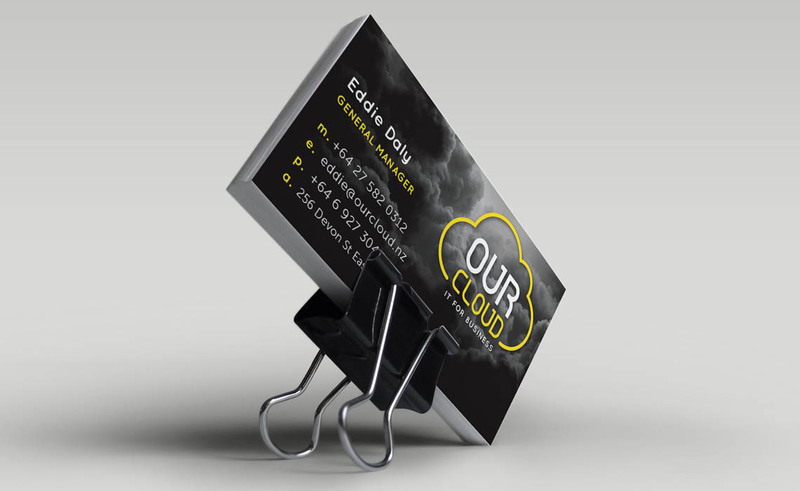 Our process involved renaming and rebranding Naki Cloud, to Our Cloud. We then designed the necessary signage, print and digital collateral that was associated with the business. In addition to the design aspect, we developed a communications and marketing plan to introduce the new name into the local market, while also creating editorial and web content for Our Cloud to share across a number of different publications. We feel very privileged to have worked on this project with Our Cloud. Not only are they professional and successful in what they do, but they gave us an opportunity to work on a project from start to finish, which is what we love to do!